Nintendo revealed in a consolidated financial highlights report on Jan 31 that the Nintendo Switch has sold 32.27 million units worldwide as of December 31. The console sold 9.41 million units in the three-month period from October 1, 2018 to December 31, 2018. The console sold 22.86 million units worldwide as of September. 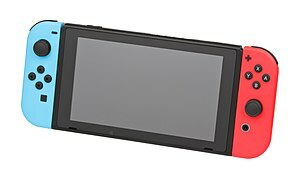 The Nintendo Switch console launched worldwide on March 3, 2017, and it sold an estimated 330,637 units in Japan within three days of its launch. Sales surpassed 500,000 units in Japan in four weeks — outpacing Sony’s PlayStation 4 over the same time period — and surpassed 1 million units in Japan by June 2017. The Nintendo Switch had outsold the Wii U console, which has sold 13.56 million units worldwide, as of December 2017.